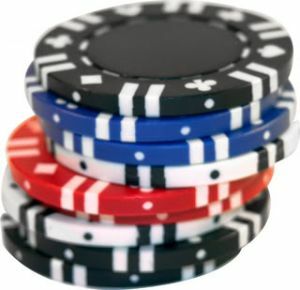 A list of betting types and rules which is possible on roulette table is listed below. If you don't want to lose your money unnecessary then it is better to gain knowledge on these rules. Ashley Revell bet on red in a game of roulette wagering everything he owned at a Las Vegas Casino and won! The Outside Bets: Out side bet is one of the classifications of betting on roulette board. Outside bet means betting outside of the playing area. Actually Outside bet means placing bet outside of the 38 numbers. In outside bet 0 and 00 results is not regarded as a winner. Red or black: Just make a guess where the ball is going to land. Is it going to be landed on black numbers or on red numbers? You have bet on that color numbers. In this betting you have the fifty-fifty chance of winning. It's very popular and common form of betting. Odd or Even: In Odd or Even betting you have to place your bet on odd or even numbers. You have to put the chips at the center of the square to mark even or odd numbers. In this betting you also have the fifty-fifty chance of winning. Low or high: You can place your in range of the numbers from 1 to 18 or from 19 to 36. Column: You can place your bet by column wise where each box is element of the column. If any number comes inside the column then you will the game. Dozen: It is very close to column bit and you have to place your bet by dozen wise. If any number comes inside the column then you will win the game. The Inside Bets:Inside bet is another classification of betting in roulette casino game. In inside betting bets are made on numbers or combination of numbers. Straight-up bet: In Straight-up bet you can choose any one number between the 38 numbers. You have to put your chips on that number and you win 35 to1. Split bet: In this betting you can place your only one bet on two bordering numbers. You have to put your chips on those numbers and you win 17 to 1. Street bet: In street bet you are not allowed for placing your bet above three numbers. You have to place the chips beside of the row numbers where you want to place bet and you win 11 to 1. Five number bet: In five number bet you are free place your chips on the corner of 0 and 1. If 0, 00, 1, 2, or 3 hits then you can win and you win is 6 to 1. Corner bet: Corner bet is another combination of inside bets. In which you can place your bet on four simultaneous numbers. You can place your chip where the four numbers meet and your win 8 to 1.